The church building work of International Cooperating Ministries (ICM) began in India in 1986 when he provided funding to build several churches there to honor his family. Shortly after the initial work in India began, Rosser established a charitable foundation using a substantial portion of his personal wealth to fund the ministry. ICM’s outreach model contradicts many traditional approaches, in that there are no paid overseas staff members. The ministry makes a global impact while employing a small local staff, and private foundations continue to fund all overhead, allowing all gifts to ICM’s work to go directly to church building and Mini Bible College projects. 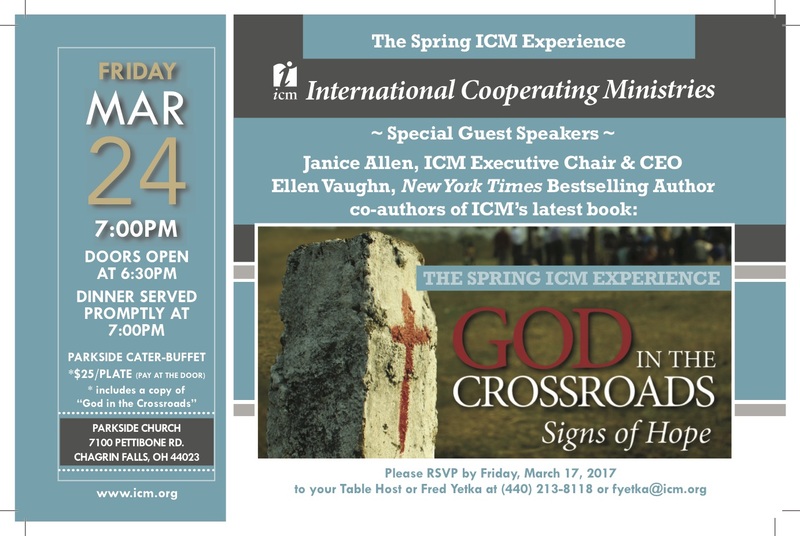 Today, there are thousands of ICM churches around the world. These projects include not only traditional church buildings, but also church orphanages, chapels, homes for church planters, learning centers, pastoral training centers and schools. And, as a result of ICM’s church planting strategy, the ministry has seen tens of thousands of additional church congregations established. ICM has established a long-term goal of 10,000 church projects, 50,000 daughter congregations and 100,000 Bible study groups to equip 1 million evangelists to reach their nations for Christ by the year 2020. Janice Rosser Allen and Ellen Vaughn have written a compelling follow-up book that takes readers to new, exotic locations, wild adventures, and a vivid, fresh understanding of God’s power. You’ll meet courageous men and women whose faith is flourishing in the face of ISIS and other terrorists. You’ll weep at believers’ suffering and losses . . . and laugh at the creative audacity of indigenous church planters who just won’t take “no” for an answer, whether in the former Soviet Union, in corners of India where Hindu extremists are burning churches, in communist holdouts in other parts of Asia, or in challenging places in Africa and Latin America. You’ll meet Janice Allen as well, and you’ll relate to her story, which painfully deviated from the neat script she had planned. Janice’s journey, woven together with the narrative of International Cooperating Ministries, reminds us that against all odds, there is always hope. Doors Open at 6:30PM and Dinner will be served promptly at 7:00PM.